Microsoft has announced that the free Xbox Live Games with Gold offerings for January include the Vancouver-developed action title Sleeping Dogs from United Front Games. Starting January 1st, Xbox Live Gold members will be able to download Sleeping Dogs, an exciting open-world action game set in Hong Kong. Then, on January 16th, Gold Live members will be able to get their hands on adventure classic Lara Croft and the Guardian of Light. 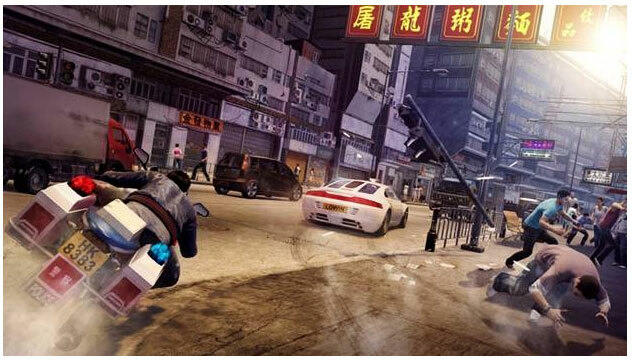 Sleeping Dogs will take you to Hong Kong, a vibrant city whose exotic locations hide one of the most powerful and dangerous criminal organizations in the world: the Triads. You’ll play Wei Shen, an undercover cop trying to take down the Triads from the inside. You’ll have to prove yourself worthy as you fight your way up the organization, taking part in criminal activities without blowing your cover. In time, you will risk everything as the lines between truth, loyalty and justice become permanently blurred. And starting Thursday, January 16th, you can experience the first ever co-op action-adventure game featuring Lara Croft in Lara Croft and the Guardian of Light. Team up with a friend or go at it alone as you traverse and solve deadly traps, fight hordes of undead enemies, and collect over 60 artifacts and relics. Lara Croft and the Guardian of Light offers fast-paced action and breathtaking visuals shown through an isometric view. This entry was posted on Tuesday, December 31st, 2013 at 7:47 am and is filed under Action Adventure, Mature, National News. You can follow any responses to this entry through the RSS 2.0 feed. You can leave a response, or trackback from your own site.